The holidays are a great time to send best wishes and say “thank you” to the people who matter. Close family and loved ones who live far away. Friends who make every day extraordinary as well as those we’ve lost track of but still care about just as much. Those special colleagues and maybe even bosses who we couldn’t imagine the office without. No matter who they are they’ll appreciate receiving a heartfelt holiday message, especially when it’s handwritten on a UNICEF Holiday Card. The first UNICEF card was created in 1949 by a 7-year-old Czechoslovakian girl as a thank-you to UNICEF, which supplied children with milk after World War II. Sales of that first card numbered 150,000 but by the time 1960 rolled around, the annual number of cards sold had increased to more than 17 million, netting over $1 million in profits. Propelling the UNICEF Cards’ popularity were the giants of contemporary art, including Picasso, Matisse, Miro and Chagall, who created original artwork for the cards as their contribution to UNICEF’s lifesaving work for children. 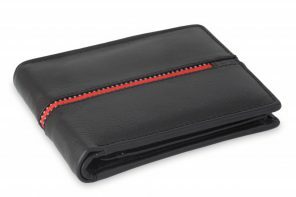 But true to UNICEF’s global mission, the cards, which became an essential fundraising tool for UNICEF’s programs, showcased designs from all artistic traditions and people: indigenous, Eastern and Western, New and Old World. 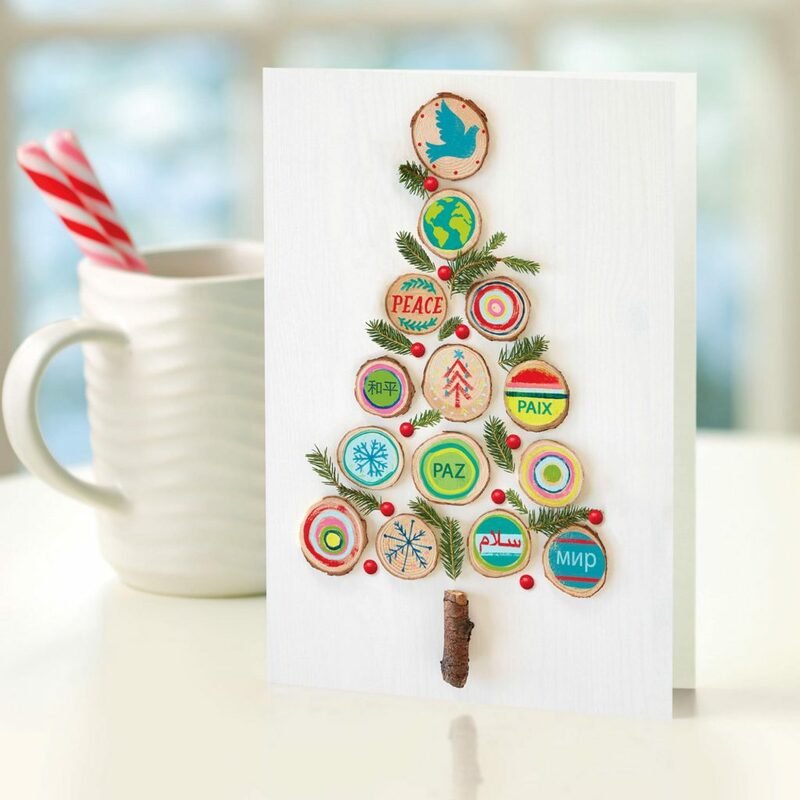 Today, the UNICEF Card offerings are just as diverse — with a message, theme and design for all the people on your holiday card list. Here are a few of our current favorites! 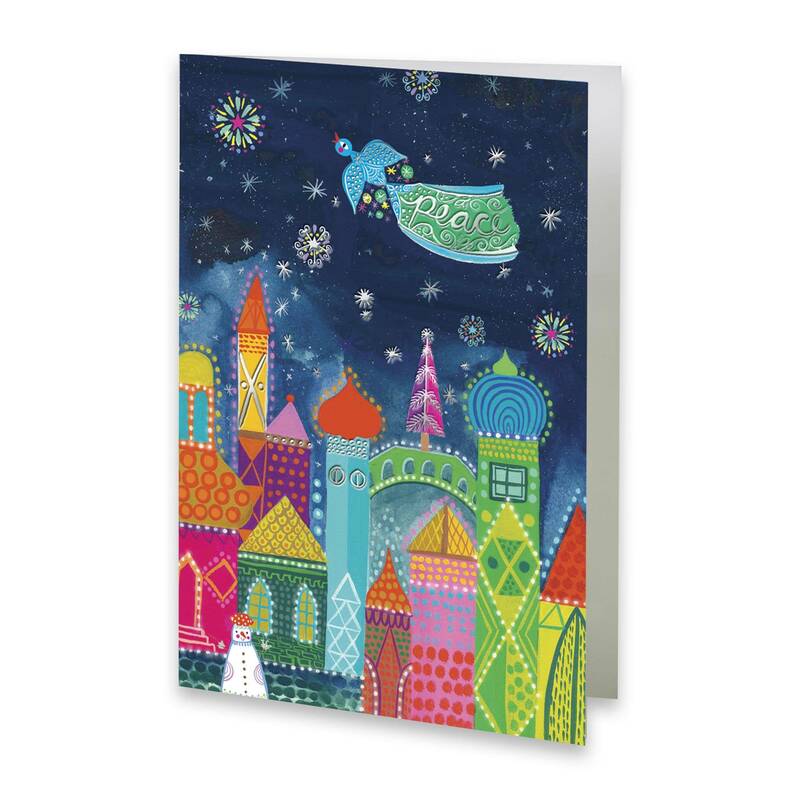 The dove of peace flying over the colorful spires of this wintry urban landscape makes for a festive and meaningful season greetings. Especially since proceeds from every box purchased are enough to fund polio vaccines for 24 children. 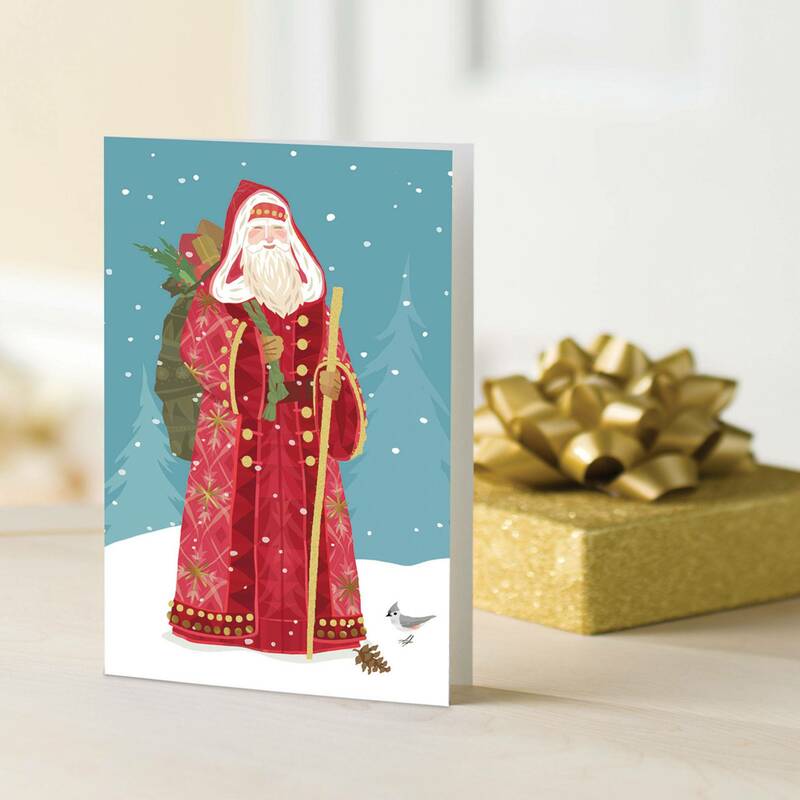 For something a little more traditional, this European Santa card is sure to send a cheery “Hello!” to friends and family. Because proceeds from every UNICEF card go toward lifesaving supplies for children, it’s quite likely Old St. Nick has more than toys in his pack. Proceeds from every box of these charmingly vintage cards can fund six packets of lifesaving nutrition that can help bring a malnourished child back to life. 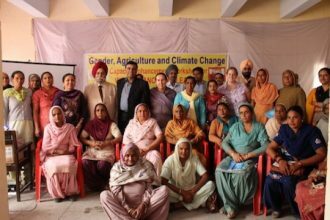 We would hope the holiday season is a time of peace and goodwill for people around the world. 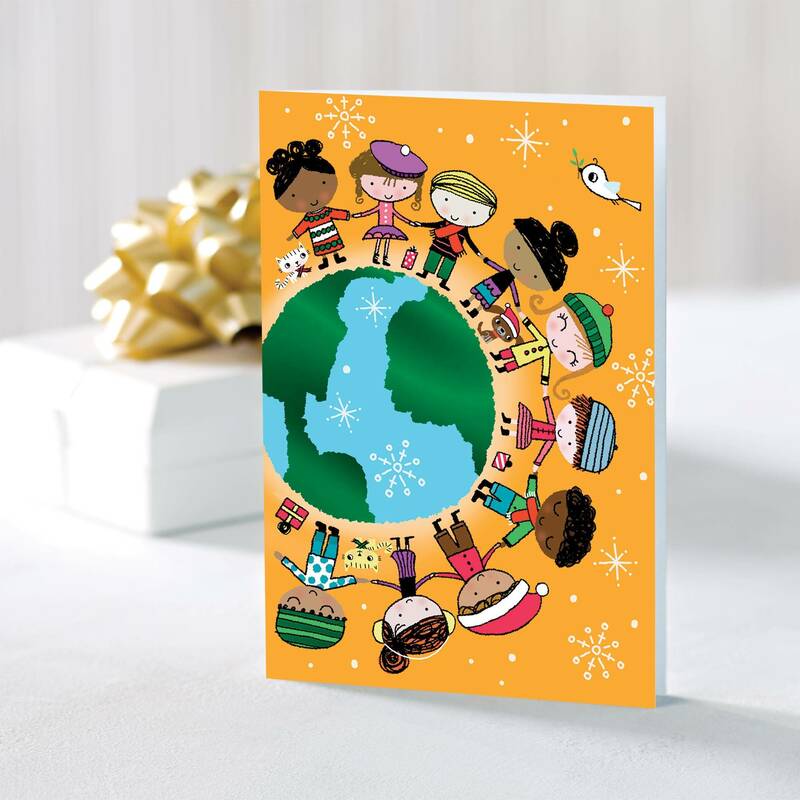 Sadly, that cannot be true everywhere, but you can send that message and support UNICEF’s work to make that vision a reality for every child by purchasing a box of the Wonderful World holiday cards. 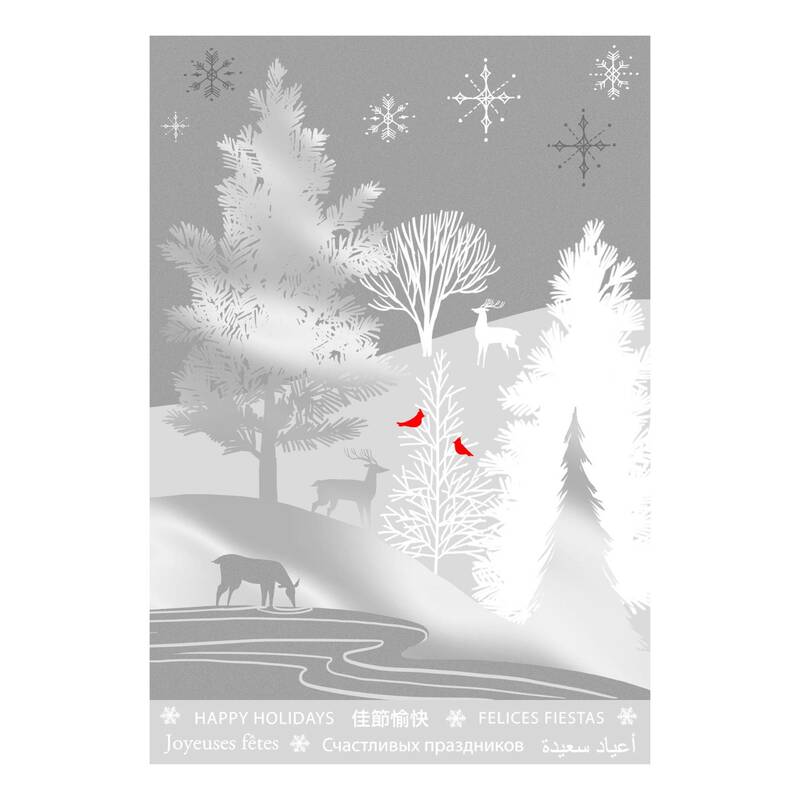 This elegant and tasteful Silver Forest card’s Happy Holidays message in six different languages is the perfect choice for those with a diverse network of friends, business associates and family. Every purchase will sponsor six doses of the measles vaccine. 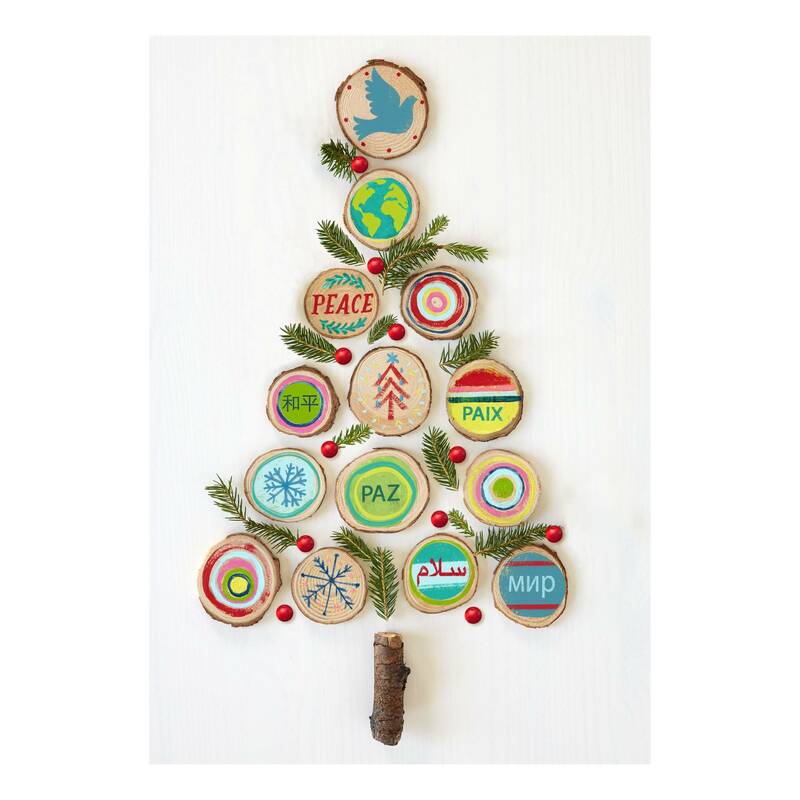 Multicultural and eco-friendly, the UNICEF Eco Tree holiday card is a collage made from real tree branches! Sure to take a prominent place on any mantle piece, this card, which comes in boxes of 12, can help fund polio vaccines for 14 children.